ARC Facilities provides custom dashboards that give you instant access to your current as-builts, O&Ms, warranties, and other critical building information from any device. Tasked with serving clients, managing teams, and often maintaining the integrity of multiple buildings, facilities managers don’t have the time to manually search for documents. 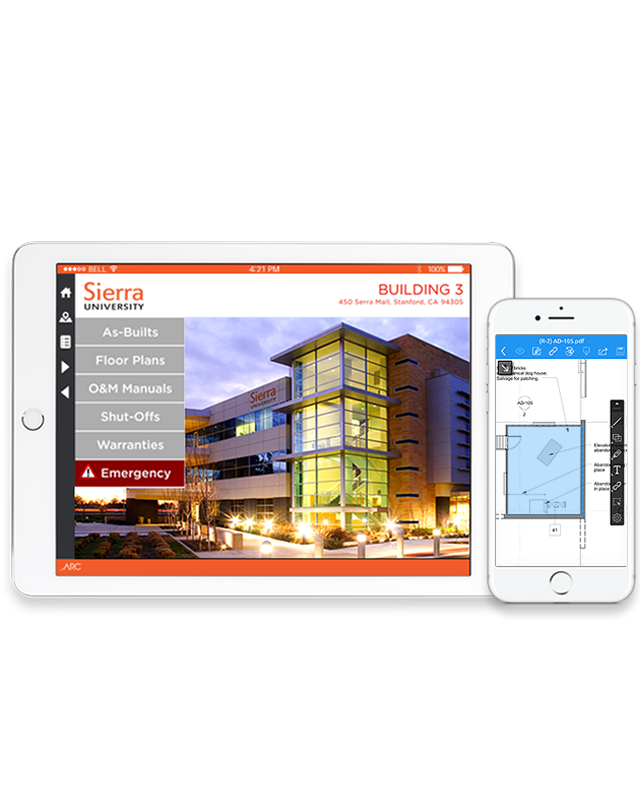 ARC Facilities is designed with the job in mind, giving FMs the ability to access all their facilities information in a few clicks or taps instead of flipping through hundreds of pages of O&Ms and building related documents. Eliminate the need to search through 100s of pages of documents or unintuitive software. ARC Facilities gives you the ability to pull this information up at a moment’s notice, from any device, making searches quick and intuitive. Touchscreen navigation is custom built around your building’s layout and information, allowing you to go from drawings to floor plans to manuals and warranties in just a few taps. No cumbersome CMMS software or thumbing through binders. 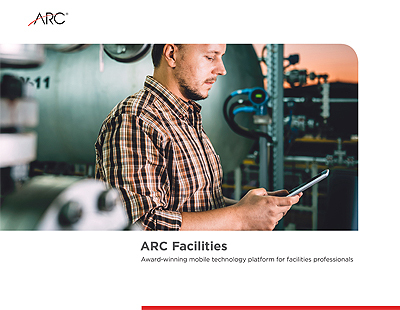 ARC Facilities is mobile ready, enabling access to information from anywhere, on virtually any device. Every document or piece of information created for your organization is an investment. But when an employee leaves with that knowledge you’re not going to see a return. ARC’s Facilities secures and lets you pass off past knowledge—saving you time and money on recreating what you’ve already paid for. Improve productivity and communication with anywhere, anytime access to every plan, manual, warranty and record. Did you know an average facility’s employee spends 1-2 hours a day searching for information? Get that time and money back with instantaneous search capabilities. 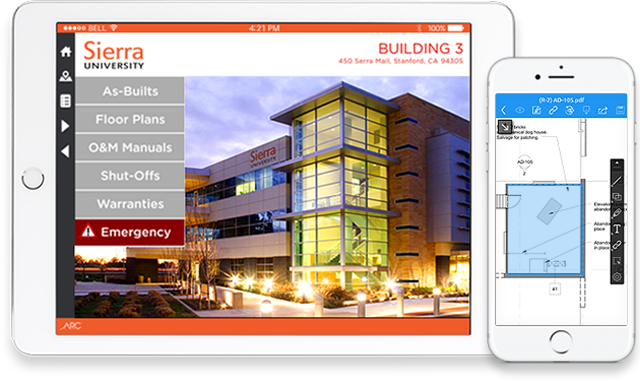 Your facility's dashboard navigation is custom built around your building’s layout and information. Centralized building information means everyone works from the current as-builts, reducing confusion and improving communication amongst your team. Having the ability to access all the facilities information visually in a few clicks compared to flipping through hundreds of pages of O&Ms is a night and day experience. Want to speak to a BIM expert now?